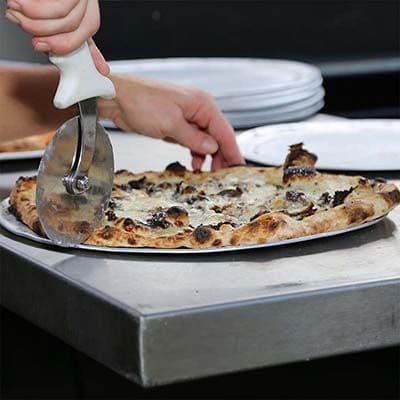 The Pizzaioli at Campania treat each pizza they create as a journey to the origin of pizza. Using traditional double zero flour, natural yeast and sea salt, we construct a delicious canvas for our authentic ingredients. We use only imported San Marzano tomatoes for our homemade Pomodoro sauce. We use authentic, imported Italian meats such as, Calabrese salami, Parma Cotto, Prosciutto di Parma, and Italian sausage, and cheeses such as, Mozzarella di Bufala, Fontina, Provolone, and Parmigiano Reggiano. 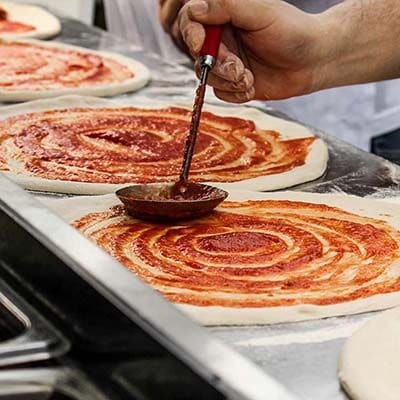 Our process culminates with our hand-made oven, made from bricks of volcanic soil from the Mt. Vesuvius region and created in Naples by master mason Stefano Ferrara. 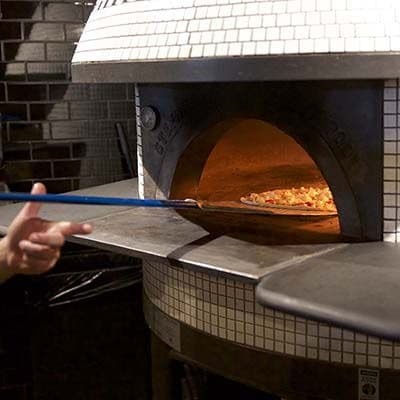 With this masterful oven being located in the dining area, you will witness 120 years of pizza baking wisdom concluding in roughly 60 seconds at over 1,000 degrees Fahrenheit. Complement your meal with a glass of wine. From our meticulous selections of vino from Campania and other prestigious regions of Italy, you will be sure to find the perfect accompaniment. Still have questions about our menu? We look forward to sharing our passion for authentic Italian cuisine with you. We invite you to be our guest and experience genuine Neapolitan pizza.